The first question in this post’s title may seem an obvious area of discussion. There have been articles, books, and documentaries with the title ‘Who Wrote the Bible?’ In any modern commentary on a book of the Bible, a significant amount of space is devoted to discussing the authorship of that book. Introductions to the Old and New Testaments, the latter in particular, will devote a large portion of their text to various theories of authorship for different texts. Beyond just the identity of an author for the text, texts of the Old Testament are frequently split into various source documents with various authors then proposed for various portions or layers of the text. In the debates between liberal and fundamentalist Protestants of the late 19th and 20th centuries, the Mosaic authorship of the Torah or Pentateuch became a shibboleth used to identify on which side of that divide one was located. Discussions of St. Paul must take into account whether material cited is from the seven ‘uncontested’ epistles or one of the other epistles which is ‘less Pauline’. More skeptical scholars will say, in an off-hand manner, that the four gospels are ‘anonymous’ or ‘circulated anonymously’ for some time before receiving their current names, and therefore attributed authors. 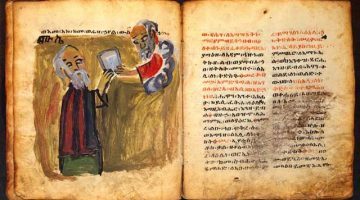 In some cases, these skeptical scholars will even seek to enlist Church Fathers and other early Christian writers to argue that the authorship of the Biblical texts was doubted in the early church. This is why the second question posed in the title of this post is important. Why is it that this particular issue, who wrote which Biblical text, has become such a battleground? What precisely is at stake if Moses did not write the Torah, or if St. Paul did not write the Epistle to the Hebrews? Why would some scholars deny these attributions, while others so forcefully affirm them? It should first be noted that there is a great body of Biblical literature, particularly Old Testament Biblical literature, for which there is no attributed author. We have no clue who wrote, for example, significant portions of the book of Daniel. Portions of the book are written in the first person, and could therefore theoretically be attributed to Daniel himself, but other major portions are written in the third person, implying that they, at least, were written by a third party. The book of Isaiah, while recording the prophecies of Isaiah, does not claim to have been set down in writing by Isaiah himself. In fact, we are told in Isaiah that Isaiah’s disciples kept his prophecies, implying that they were compiled in written form after his death (Is 8:16f). The material of Joshua, Judges, 1 and 2 Samuel and 1 and 2 Kings show clear signs of having been written, or at least edited into the form in which we presently have them, by a single hand. This has sometimes been attributed by various traditions to the person of Samuel. This has two difficulties. First, the Prophet Samuel dies in 1 Samuel 25, and the material from 2 Samuel through 2 Kings takes place over centuries after his death. Second, in the Greek Old Testament tradition, these books are entitled 1-4 Kingdoms, and do not bear the name of Samuel. Many of the Psalms are attributed to no particular author. Not knowing exactly when, or by whom, these texts were set down in writing in their present form does not represent any difficulty in the authoritative canonical status which they have exercised for centuries. It should also be noted that there are significant portions of the scriptures concerning which no one contests the authorship. There are seven epistles which all scholars agree were written by St. Paul. There are no serious doubts that Sirach was written by Yeshua Ben-Sirach. Very little time is spent arguing that the portions of Proverbs attributed to particular wisdom teachers are the product of traditions associated with those teachers. That there is such little debate about these and other similar texts is revelatory regarding the current question, however. These texts are typically not doubted because there is no reason to doubt them. One could apply simple, systematic skepticism and insist that there is no way to know for sure who wrote any of the Biblical text. This, however, is not done by any major credentialed scholar. This means that when the authorship of a given text is called into question, it is because there is a reason to call it into doubt. What, then, are those reasons? One of the earliest examples of the authorship of a book being called into question come from the church historian Eusebius of Caesarea. Eusebius accepted the four gospels as authoritative scripture, as the church had for more than two centuries in his day. 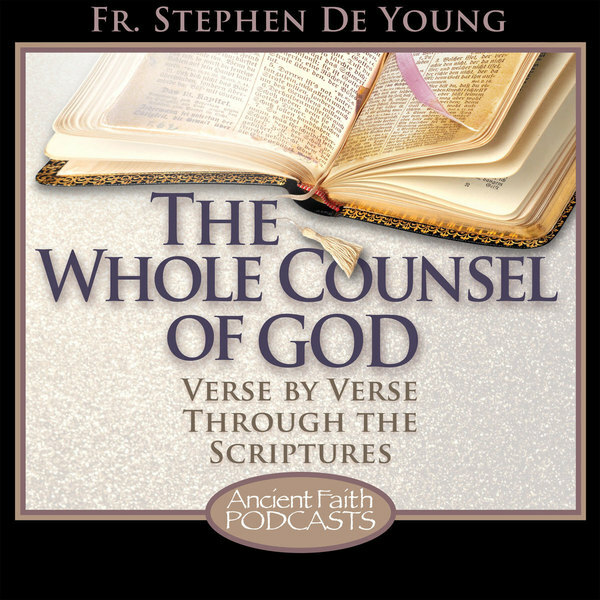 He further accepted that at least 1 John was written by the same author as St. John’s Gospel. On the other hand, he, as many in the East in the fourth century, rejected the book of Revelation as authoritative. This presented a difficulty to him, as he was wont to cite testimony from the second century Fathers, St. Irenaeus in particular, regarding the apostolic authorship of St. John’s Gospel and the First Epistle. However, this testimony also included Revelation. He expresses this difficulty openly, and describes how he found a solution through a close reading of a citation from the works of Papias. This citation exists today only in Eusebius’ quoting of it. It gives two different lists of persons whom Papias encountered, one of which includes St. John the son of Zebedee, and the second list names a ‘John the Presbyter’. While it appears to have been typical for Papias and other late 1st century authors to refer to the apostles as presbyters or ‘elders’, Eusebius theorizes that this is, in fact, a second person, and that this second person is the one who wrote Revelation, implying that Ss. Irenaeus and Justin were merely confused (Ecc Hist 3.39). By calling the apostolic authorship of Revelation into question in inventing ‘John the Elder’, Eusebius sought to invalidate its authority. The questioning of the Mosaic origin of the Pentateuch began in a similar way. While it is clear that the Torah as we now possess it stands at the end of a tradition of translation and editing, that it originated in the Mosaic period was first questioned in the 16th century. This questioning did not arise from linguistic or textual issues or even from archaeological discoveries, but rather from the impression that, in particular, the narratives of the first 11 chapters of Genesis and the story of the Passover and Exodus offended against new found ‘scientific’ sensibilities. The desire to marginalize the Torah, and the Old Testament in its entirety, was further fueled by centuries of European anti-Semitism. To give antiquity to their criticism of the authorship of the Pentateuch, appeal was made to St. Jerome, in particular an off-hand comment made in his Contra Helvidius. Blessed Jerome mentions in passing that there are those who believe that Moses simply wrote the Pentateuch, and those who believe that Ezra served as instaurator. This Latin term was translated in the modern period with its later meaning of ‘editor’, and became the basis of dozens of theories regarding the Pentateuch being either written wholesale, or compiled from a whole series of disparate sources, in the post-exilic period of Ezra. In fact, however, instaurator as used here by St. Jerome refers to one who restores a work. He is referring here not to the authorship of the book, but to the tradition, as record in 4 Ezra and other texts, that at the destruction of the temple in Jerusalem the Torah was itself destroyed, but was then miraculously rewritten perfectly by Ezra. A similar approach has been taken to the New Testament documents. Various scholars have made reconstructions of 1st and early 2nd century Christian history, with no primary sources apart from the Biblical texts, and then based on their view of the development of religious ideas, slotted in the various texts at various dates. Then because St. Matthew’s Gospel or the Pastoral Epistles of St. Paul have a ‘highly developed’ view of the church and its ordained leadership, they must have been written at a date too late for their attributed authors to have been alive. The ‘must’, however, is based solely on the necessity that the evidence match a given theory, rather than vice versa. Minimally, this produces circular reasoning on the subject of authorship by scholars. Our only sources for understanding ‘what St. Paul believed’ are the Pauline epistles, yet if some of those epistles teach certain things that ‘St. Paul could not have believed’ then they cannot be Pauline. The answer to all of these arguments is found in identifying the problematic presuppositions on which they rest. First, the concept of ‘authorship’ as it refers to the texts of scripture, must be defined. What does it mean that, for example, St. Paul wrote the Epistle to the Romans? It does not mean that he took papyrus and stylus in hand and wrote a letter to the church at Rome. There are places in his epistles (cf. Gal 6:11) in which St. Paul states that he is writing with his own hand, in large letters, meaning that the rest of his epistles were written by another hand. In the case of Romans, the actual writer of the epistle is identified as Tertius (Rom 16:22). This reflects the typical process of using an amanuensis, or a secretary, to compose letters. St. Paul would have spoken the text of the letter to Tertius, who would have taken it down, making grammatical corrections and polishing the written style. St. Paul would have then reviewed the letter and made any corrections. Corrections made, the letter would have been delivered by a person who would have publicly read the letter aloud, and been prepared to answer questions from the recipient concerning its content. This would have been the case, certainly, with epistles such as Galatians, Romans, 1 Thessalonians, 1 Corinthians, and perhaps others. Other epistles, for example, list St. Timothy as a co-author (Col 1:1, Phil 1:1). There is good evidence that our 2 Corinthians is in fact at least two of St. Paul’s epistles to the church at Corinth (there is good reason to believe he wrote at least 4) which have been put together into one book. All of St. Paul’s epistles, including Hebrews, were brought together as a collection c. 100 AD, and circulated in that edited collection. This indicates that while all of the Pauline corpus authentically reflects the teaching of the Apostle, there were a variety of relationships between St. Paul himself and the text as we presently possess it in canonical scripture. This fact is not a secret, and so debating the exact details of this relationship does nothing to undermine the authority of a given text. Further, all of these arguments concerning authorship assume that any disconnect between the written text and the source of the teaching contained in the text implies a breach in the chain of authority. It presumes that, for example, teaching authority was vested in the person of St. Paul, or the person of Moses, or the person of the prophet Isaiah, such that if the written texts were composed or compiled by the disciples of these figures after their death, they are somehow less authoritative than if they were ‘written’ by the person themselves. The obvious flaw in this presupposition, from a Christian perspective, is that all that we know about the words and deeds of Jesus Christ was written down by his disciples and apostles after his death, resurrection, and ascension into heaven. This fact does nothing to make Christ’s teaching less authoritative. There are other epistles known to have been written by St. Paul, including one to the Laodiceans, and those mentioned before the Corinthians, which are not in the New Testament. The church never felt the need to seek out these texts, or the impression that somehow the Pauline corpus was incomplete without the teachings contained therein. This is because the authority of the scriptures is contained within the texts themselves, not with the (in many cases anonymous) authors, editors, or copyists. All of the scriptures speak with the authority of Christ himself (Matt 22:31, 2 Tim 3:16), though spoken through men in diverse times and places (2 Pet 1:21). I appreciate this information. Could you elaborate on the letter to the Lacedemonians, I’m not familiar with that piece? Is that idea widely accepted? Thanks for taking the time to produce this work. It is actually the Epistle to the Laodiceans. This was a typo on my part, now corrected, not yours, just to make that clear to readers. Colossians 4:16 mentions that this epistle exists. This letter, however, appears not to have been handed down to us in our time. Some scholars have promoted the idea that one or the other Pauline epistles in the New Testament is actually this letter, Ephesians is the most common candidate, but none of these theories has gotten much traction. This mention in Colossians, though, caused at least two forged texts to come into exist. One came from Marcion, the other circulated in Latin in late antiquity, but neither was ever accepted by any portion of the church as authentic. Showing how the modern theory of pentateuchal composition came about doesn’t constitute an argument against it. I’m not sure if that’s what you’re getting at. Surely the simplest explanation of the differences between the two creation stories is that they originally came from two separate authors or traditions. Same with the flood narratives. Perhaps you even agree with this, but it isn’t clear from this post. You yourself say in another post that the author of 2 Peter refers to Paul’s letters as scripture, which would seem to indicate a later date, no? That doesn’t seem to be problematic and circular reasoning. I agree with your last paragraph wholeheartedly by the way, which is why I feel like there is some leeway in how to understand authorship from within Orthodoxy. The purpose of this particular post was not to offer an argument on any of these particular discussions, but rather to talk about what has historically motivated these discussions, and what in our day has made them often heated debates. One side believes that questioning authorship marginalizes the authority of a text, and the other side, wanting to defend the authority of the text, accepts the terms of the argument and so defends traditionally ascribed authorship sometimes to the point of silliness. Once the issue of authorship, and relatedly date of composition, is separated from the issue of scriptural authority, we will have fewer of these discussions, and the ones we have will be motivated by legitimate internal reasons of scholarship. With lower stakes, they will be more rational discussions. As I mention in the piece, it is not possible that Moses sat down and wrote the Torah as we have it today, because the language it is in didn’t exist in his time. Its gone through a process of composition, compilation, and editing that took place over centuries. Since hellenophone Orthodox churches have always authoritatively used the Septuagint, a text which most certainly does not date past the third century BC the details of the process of traditioning that culminates in our Pentateuch is a subject of scholarly interest, but says nothing about the authority of the text, whatever we conclude. Likewise, I am here making the point that if 2 Peter, to use your other example, was compiled by St. Peter’s disciples after his death based on his teaching rather than dictated by him to an amanuensis during his life, this makes not one wit of difference to the canonical authority of 2 Peter within the church. So if we have reason to believe that one or the other is true, we can come to whichever conclusion study leads us. What I’m pointing to as circular reasoning is, for example, making the argument that the concept of the church developed over the course of the first century. Therefore, since St. Matthew’s Gospel, the Pastoral Epistles, Ephesians, and other texts which have a developed view of the church must have been written late in the century. Then when asked how one knows that the concept of teh church developed over the course of the first century, saying that the earlier NT writing have a less developed concept of the church. Dating the texts based on a theory, then defending the theory with that dating. I really like your Blog. Is it possible that one day you will write a book about Biblical Criticism/Textual Criticism, I don’t think there are many Orthodox books on these subjects. There are a lot of Protestant books on these subjects, such as, can we trust the NT and other such writings, which I think are quite good, depending on the author. But I don’t see many Orthodox writings on this subject.